Alex has been speaking video fluently for the past 42 years. It started in Middle School when he kept showing up at the door of the local cable access channel. Just watching and asking questions about everything they were doing. They finally let him in the door to work and he’s has been studying ever since. Alex started his full-time broadcasting career in Oklahoma City at KGMC-TV and then was hired as Operations Manager for two start-up independent TV stations in Colorado (KCWS-TV) and Kansas (KSAS-TV). Since then he has managed Pizza Hut’s multimedia department creating award-winning corporate video projects and conferences. Getting tired of the flatlands, Alex moved to Lakewood Colorado and built an editing facility next to his house and started Al’s Digital House. 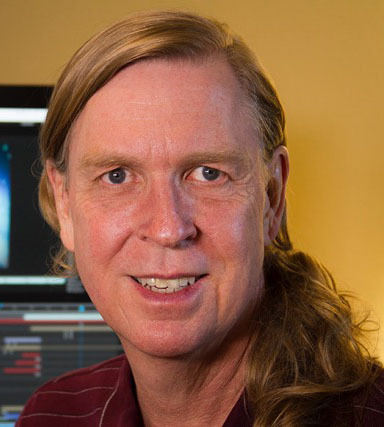 Since then he has created, shot, animated and edited award winning projects with national and local clients. Alex is what you would call a generalist. You know… multi-hat creative that has hands-on experience with producing, directing, photography, animation and editing. You can plug Alex into most levels of the production workflow and he achieves affordable award level creative that clients are looking for.